This year’s meeting of the for-profit higher-education industry’s principal membership association was held at Walt Disney World—which, for the 1,000 people who attended, might have seemed the second most magical place on earth. First place, at the moment, is Washington, D.C., where friends and allies have created a regulatory reprieve after years of scrutiny under the Obama administration for the for-profits, also known as proprietary or career schools. The Trump administration has softened or eliminated many of the rules that had targeted for-profits and brought down some of the sector’s biggest players, such as barring schools from the federal student-aid program if too many students failed to find gainful employment after graduation. And investigations into the schools’ misdeeds seem to have been shelved. So the mood in the exhibit hall at “C-Q”—the annual meeting of Career Education Colleges and Universities (CECU)—was upbeat, even as it was tempered by anxieties of another kind. Enrollment is in free fall, thanks to an improving labor market and stepped-up competition from public community colleges. Nervous accreditors are cracking down. And states across the country are stepping up regulation and enforcement, taking over where federal agencies have left off. The for-profits, which are often subjected to sneers and portrayed as unethical opportunists, may have a secret weapon: the ability to innovate and disrupt in a sector known for its glacial pace of change. They pioneered many of the tech-driven trends upending higher education, from distance learning to data-focused metrics of success. Now, their survival may rest on creating the next wave of innovation in a field that has decried their abuses while putting their discoveries to use. So a surprising amount of the conversation in the corridors at C-Q was about strategies that would benefit students as much as the schools themselves, and questions that are as relevant to brand-name colleges and universities as their for-profit cousins. What can be done to bump up student persistence and graduation rates? How can job placement be independently verified? How can consumer perceptions and the schools’ reputations be altered? How can for-profits get students to not only enroll, but succeed? This century has been a dramatic era for the for-profit higher-education industry. Enrollment at the schools more than quadrupled between 2000 and 2010, from 403,000 to 1.7 million students nationwide (see Figure 1). But the sector was bruised and battered during years of clashes with the Obama administration, which sought to rein in abuses such as inflating job-placement rates and using high-pressure sales techniques to induce students to sign up. 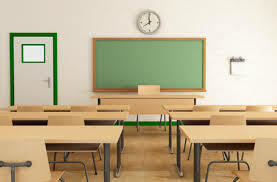 Trends including a declining pool of 18- to 24-year-olds and an improving labor market also affected enrollment, and the number of students at for-profit schools fell by 47 percent from its 2010 peak to 915,000 in the spring of 2018, according to the National Center for Education Statistics. The Obama-era regulatory crunch was both focused and aggressive. A special investigative unit at the federal Department of Education was tasked with ferreting out fraud at for-profit programs. The administration adopted the so-called “gainful employment” rule for career programs, the vast majority of which are for-profits, which barred programs from access to federal student aid if too many of their graduates were unable to pay back their loans. Students at for-profit institutions that were accused of fraud or that closed after student-aid dollars disappeared had their loans forgiven by the federal government. The combination of unflattering headlines and disappearing dollars led to a sudden decline in the number of for-profit institutions, which fell from 3,265 in 2015–16 to 2,899 in 2016–17. In countless cases, it didn’t. An analysis by the U.S. Department of Education, which under Obama performed a test run of the gainful employment rule, found that graduates of nearly three in four programs offered at for-profit colleges wound up earning less than high school dropouts, on average. 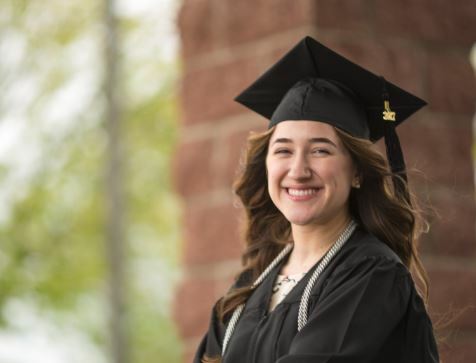 Those students who do manage to earn an associate’s degree finish with an average $23,590 of debt, while most graduates of public community colleges don’t borrow. While for-profit colleges enroll 9 percent of students, they account for 33 percent of all student loan defaults, according to the Institute for College Access and Success. “The incentive of a for-profit is to get everyone they can possibly get to enroll—which means a student for whom online education will not likely be a constructive, positive, successful experience—a for-profit has a strong incentive to enroll them anyway,” said Shireman. More than one in six for-profit colleges has disappeared from federal financial-aid programs since 2010. Two of the biggest, Corinthian Colleges, Inc., and ITT Technical Institute, imploded spectacularly and shut down almost overnight, stranding thousands of angry students. Corinthian was among the schools discovered to have faked its job-placement rates; it was sued by the Consumer Financial Protection Bureau and fined by the U.S. Department of Education before ceasing operations. ITT was caught using high-pressure recruiting tactics, and had its accreditation and participation in financial-aid programs cancelled; it soon closed its doors, blaming a “regulatory assault.” Both companies declared bankruptcy. Other major institutions have remained open, albeit under new and often more modest circumstances. The University of Phoenix, once the largest university in the world, has seen its enrollment fall by 76 percent since 2010 and was sold to private-equity investors. Strayer Education and Capella Education Company merged. DeVry, which paid the Federal Trade Commission $100 million to settle complaints it had falsified employment claims, changed its parent company’s name last year to Adtalem Global Education, Inc., and has gotten tentative government approval to transfer ownership to Cogswell Capital LLC, the parent company of Cogswell College, a for-profit school in California. Several for-profits have transformed into nonprofits, or been combined with or sold to nonprofit institutions. The Art Institutes, which had shrunk from a high of 51 to 32 campuses, was sold in 2017 by Education Management Corporation to the Dream Center Foundation, a philanthropic group in Los Angeles. Earlier this year, Grand Canyon University converted from for-profit to nonprofit status. The nonprofit National University System has announced plans to acquire the for-profit Northcentral University. In March, Purdue University, the flagship public research institution in Indiana, bought for-profit Kaplan University to launch a new suite of online programs called Purdue Global. And in July, Bridgepoint Education got accreditor approval to merge its University of the Rockies with Ashford University. They, too, would become nonprofit. The remaining for-profit schools may face less federal regulatory pressure under a friendly Trump administration, but states are stepping in to add new layers of oversight. Attorneys general from 18 states and the District of Columbia have sued to prevent the federal education department from changing rules meant to protect students who borrowed to attend Corinthian, ITT, and other institutions. Many states now require that for-profits set aside money to reimburse students if they close or are found to have committed fraud, according to the National Consumer Law Center. For-profit Career Education Corporation, which runs American InterContinental University and Colorado Technical University, is being investigated by 17 states and the District of Columbia over whether its recruitment and claims of graduate placement meet state consumer laws, even as federal investigations into the company have apparently ended. And new California regulations require for-profit colleges to keep their loan default rates under 15.5 percent to remain eligible for state financial aid, far below the federal threshold of 30 percent. The for-profits also are facing a clampdown by their own accreditors. Like the schools, accreditors have been subject to scrutiny; the Accrediting Council for Independent Colleges and Schools (ACICS), which had approved Corinthian and other failed for-profit institutions, was stripped of its federal recognition near the end of the Obama administration. ACICS has received a temporary stay from U.S. education secretary Betsy DeVos and is fighting for its status to be permanently reinstated, but its example has refocused the accreditors of other for-profit colleges on their consumer-protection roles, particularly in the areas of retention, graduation, and job placement. “You guys get in trouble, we get in trouble. You have good success stories, we have good success stories,” Florence Tate, former executive director at the Accrediting Bureau of Health Education Schools, reminded those assembled in Orlando. Two weeks after a graduate of the for-profit Aviation Institute of Maintenance (AIM) reports that he or she has found a job, a third-party contractor calls the employer to confirm it. That’s part of a surprisingly elaborate process meant to reassure accreditors and consumers that job-placement rates are real, and that students get employment in the fields for which the school prepared them. A small industry of companies has cropped up to provide this kind of independent verification of students’ job placements, such as CARS, MMI, CompliancePoint, and IntegriShield. Like auditors, they can have no other financial ties to the schools. Accreditors require that a statistically significant proportion—typically 25 percent—of records be checked, and only job placements in the field for which the student was trained count. A gig as a barista at Starbucks doesn’t count. AIM’s reported employment rate, which fell from about 70 percent to about 50 percent when the third-party process was initially applied, is now back up to about 70 percent, the company says, suggesting that the reform is accomplishing more than just making the information more reliable, but also encouraging career offices to do a better job. Public institutions and nonprofits, whose accreditors have generally not imposed such standards, don’t do anything remotely as elaborate. The rosy job-placement rates they give prospective students are often based on unscientific surveys of alumni—though the prospects aren’t told that—and can be wildly unreliable. The likeliest to answer: graduates with good jobs. 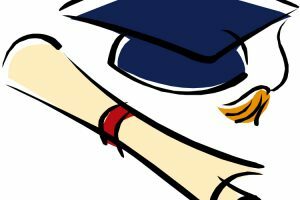 (There are notable exceptions, including the public University of Texas System, which has teamed up with the U.S. Census Bureau to provide graduates’ typical earnings by major.) Several nonprofit law schools have been sued by their own students for allegedly fabricating job-placement rates; in one suit, the complainant alleged that the 80 percent of alumni reported as working included a graduate who was cleaning pools and another who was waiting tables. Retention is another major challenge, and it is particularly critical to for-profit colleges given the dramatic decline in their enrollments. They also have the farthest to go: more than 40 percent of students at for-profit schools quit after one year, compared to 20 percent of students at public and nonprofit institutions, according to the National Center for Education Statistics. Some for-profits are encouraging persistence by changing the ways that students pay for school. Strayer University has established what it calls its Graduation Fund, which gives students one free course to be taken in the last year of their degree for every three they pay for and successfully complete. Since the program was started in 2013, retention has improved, according to Strayer: the school now has a 56 percent retention rate for new full-time students, and 32 percent for new part-time students. In addition, the six-year graduation rate has grown to 62 percent—slightly better than the 60 percent average at four-year schools of all types nationwide, and significantly higher than the average six-year graduation rate of 36 percent for older students—the for-profit schools’ core market. Other for-profits offer subscription models—think Netflix—which let students pay a flat monthly fee and take as many or as few courses as they’d like. The faster they go, the cheaper their degrees. StraighterLine charges $99 a month plus $59 per course for proctoring, tutoring, and textbooks; New Charter University costs $796 per semester, including textbooks, for as many courses as a student can complete. Capella University’s FlexPath program charges a flat fee each quarter, ranging from $2,100 to $2,700 depending on the program, and allows students to complete as many courses as quickly as they can. Other schools let prospective students take a trial course for free, which a survey by consulting firm Eduventures placed near the top of what prospective older students want. Capella offers a non-graded, non-credit-bearing sample class, while StraighterLine and several of its partner colleges have begun a pilot program under which students have to take and successfully complete a free credit-bearing course before they can enroll full-time. “The better your data, the better your ability to predict if a student is falling behind and intervene to assist them,” said Wally Boston, APUS president and chief executive. To build business, for example, it was the for-profits that recognized the older learner market in the first place. As with many such advances, this didn’t entirely start with the for-profit schools—there were already small continuing-education and professional-studies programs at some colleges and universities. But it was the for-profit schools that saw the potential to grow, and built new, technologically advanced systems to serve those students. To do that, the for-profit schools invested in online education for delivery, found untapped pockets of aspiring students, and quickly grew. The trouble came when they focused on keeping up those high rates of growth, just as the immature online-delivery model showed a major weakness: nearly as many students who were flooding into online courses were streaming back out of them. That led to the hyper-aggressive recruiting techniques and false job-placement information that inspired the federal crackdown. But it also inspired more constructive innovations. For-profit schools were among those that pioneered the expansive use of predictive analytics a decade ago, for example. American Public University System (APUS) began to track students’ participation on discussion boards, such as the average length of a response to a question, and conducted surveys to link that data to student performance. That meant it could target supports to boost individual student engagement, helping improve the school’s six-year graduation rate to 41 percent. “The better your data, the better your ability to predict if a student is falling behind and intervene to assist them,” said Wally Boston, president and chief executive of APUS and its parent company, American Public Education, Inc.
“Ultimately everyone’s goal is student completion…. I don’t hear as much ‘for-profit-versus-nonprofit’ now,” says Constance Johnson, CTU’s chief academic officer and provost. Several of the major innovations brought forth by the for-profits, such as allowing students to start and pause their studies anytime they choose and awarding credit for professional experience, have taken root at traditional public and nonprofit colleges and universities. Some public and nonprofit colleges and universities have started collaborating with for-profits to develop new techniques, such as adaptive learning tools. And higher-education leaders—especially those who are responding to enrollment declines by serving the booming adult market—are recognizing and acknowledging their debt to for-profit innovation. “It is fair to ask what have we been able learn from the for-profit innovators,” said Laurie Quinn, provost and chief academic officer of nonprofit Champlain College in Vermont, which runs a robust online division. “There are some considerable things,” most notably expanding the adult market and using sophisticated marketing. Such leading-edge work continues: for-profits now are experimenting with nanodegrees (Udacity), guarantees to students and employers (Triangle Tech Group, coding boot camps), and modular sequential courses (several vocational institutions). This has led to a rare instance of a for-profit institution, Colorado Technical University (CTU), collaborating with a nonprofit one, the University of Central Florida (UCF). Together, they are studying the adaptive learning techniques that CTU has added to 150 of its courses and that UFC hopes to use to serve students who need extra help. To be sure, acknowledged Constance Johnson, CTU’s chief academic officer and provost, there are some institutions that would shy away from collaborating with her institution. These sorts of innovations are raising the for-profit sector’s profile in the foundation and research worlds as well. The Bill & Melinda Gates Foundation has funded a study that includes New Charter, which puts course material and practice tests online for free and has opted not to offer financial-aid assistance, including the federal student-loan program, in order to save on administrative costs. The Gates Foundation is also examining practices at the for-profit APUS and the University of Phoenix, alongside publics and nonprofits, in a project focused on using data to study factors in student success. Jon Marcus is higher-education editor at the Hechinger Report, a foundation-supported nonprofit based at Columbia University, and a North America correspondent for the (London) Times Higher Education magazine.